Show you the library services that you will need. Help you get the most out of the resources (databases, etc.) you need for your research. Assist you with citation and referencing. Top writing skills from Oxford Dictionaries: a clear guidance for tips on writing good English. 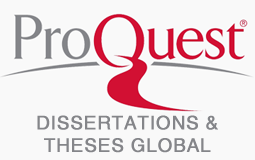 ProQuest Dissertations & Theses Global is the world's most comprehensive collection of dissertations and theses from around the world in these fields: business, health & medicine, history, literature & language, science & technology, social sciences and arts. Use our document supply service to obtain a full text of what is not available within our e-collection. You just need to fill in the form on this page and we will get it for you. In the Basic Search , type dissertation, academic as a subject search. In the Advanced Search, type technical writing as a subject search & engineer* as a keyword search.